As is the case with all veteran NBA coaches, Mike D’Antoni has a certain reputation. Some aspects of that reputation are flattering, others are not. One of the less appealing things that everyone knows about D’Antoni is that he is virtually incapable of making adjustments to fit his personnel. His stint with the New York Knicks (and their subsequent success upon his departure) made that point exceptionally clear. And it’s that inability to adjust to his personnel that is currently creating a huge rift between D’Antoni and Pau Gasol. Forget what both parties say in press conferences – the facts speak for themselves. So, how are D’Antoni and Lakers brass attempting to help their power forward get back on track? By threatening him, of course. However, a source told ESPNLosAngeles.com that Lakers general manager Mitch Kupchak has recently spoken to Gasol’s representatives and the gist of the conversation was that if Gasol is unable to adjust to [new coach Mike] D’Antoni’s system, the team will have no choice but to search for possible trade scenarios. Seriously, does it not strike anyone else as odd that D’Antoni is being absolved of any responsibility as it pertains to putting Gasol in a position to be successful? Isn’t that what coaches are supposed to do? Any moron off the street can design a theoretical gameplan for a basketball team to run – the implementation, modification, and fine-tuning is what coaches are supposed to be there for. 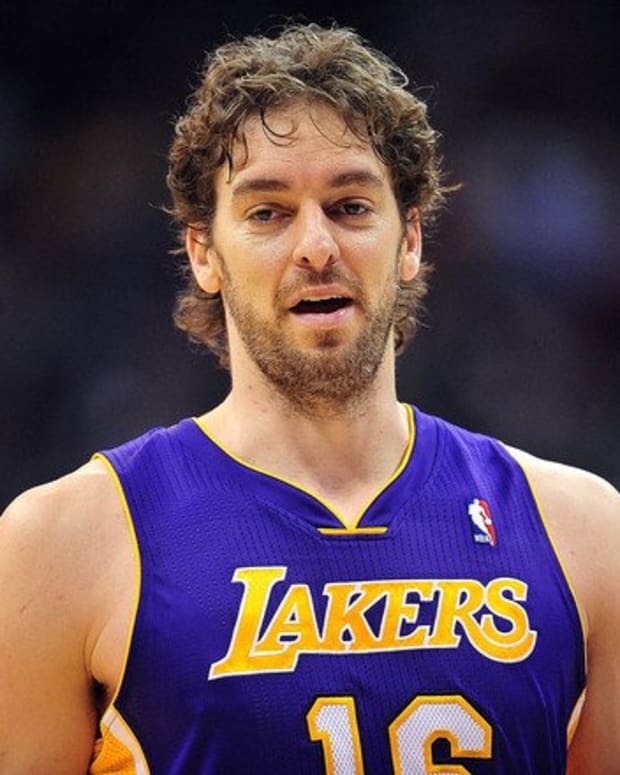 Will the Lakers really move Gasol? Who knows. He is 32, experiencing the worst season of his career, and owed more than $38 million over the next two years. There isn’t exactly a line of suitors with young assets lined up around the block. But him getting traded or not getting traded is beside the point. What’s important here is how badly the Lakers have mishandled this situation from the jump. And that mishandling is exactly why fans are slowly losing hope in their ability to get back on track this season. If somebody doesn&apos;t right this ship, 2012-13 could turn into an embarrassment of epic proportions for all involved.